As educators, we recognize the value of education and learning year round and we work hard every day to pass these ideals along to our students. 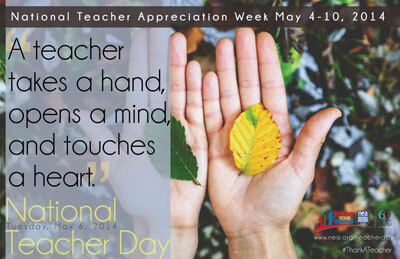 National Teacher Day, which falls during Teacher Appreciation Week (May 3-9, 2014), is a wonderful opportunity to remind the larger community of the value teachers bring to our lives and the lives of children. 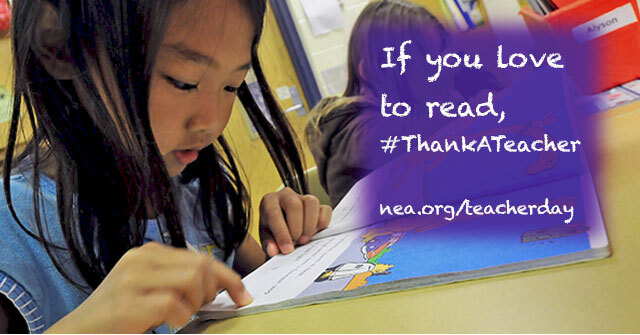 This year the NEA is encouraging everyone to use the #ThankaTeacher hashtag and join thousands showing their support for our nation’s teachers. Show some love on Facebook and Twitter or get creative and create your own six-second video thank you on Vine. Know of any great ideas or deals for Teacher Appreciation Week? Share them in the comments and we will add them to our Teacher Appreciation Week and Educator Savings and Specials boards on Pinterest! 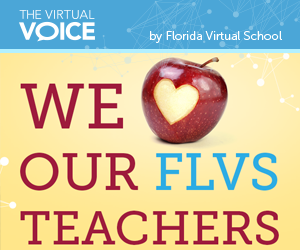 This entry was posted in Educator Edition, Parent Edition and tagged #ThankaTeacher, Educator Discounts, National Teacher Day, Teacher Appreciation, Teacher Appreciation Week, Teacher Deals, Teacher Specials on May 3, 2014 by Guest Blogger.